With more than 20 years of combined experience, the attorneys at our law office, McCormick & Vilushis LLC, are able to provide aggressive advocacy for personal injury victims in Erie, Pennsylvania. We handle a wide array of cases, including wrongful death and bad faith insurance scenarios. Our firm also provides counsel for workers' compensation and Social Security Disability matters. We represent clients with catastrophic injuries stemming from car, truck and motorcycle accidents. We also take on cases involving medical malpractice, nursing home negligence, dangerous products, and slip and falls. People turn to our law office for representation after sustaining traumatic brain injuries, head and neck trauma, spinal cord damage, and scarring. Our attorneys are highly knowledgeable and committed to seeking fair compensation for clients' pain and suffering. Attorney Douglas McCormick has been recognized in Super Lawyers and Rising Stars lists every year since 2012. Attorney Chad Vilushis is among the Top 100 trial lawyers with the National Trial Lawyers organization. Mr. Vilushis is also a civil arbitrator. Both Mr. McCormick and Mr. Vilushis have experience as assistant district attorney. Outside of personal injury law, our law office handles criminal cases and driving under the influence allegations. 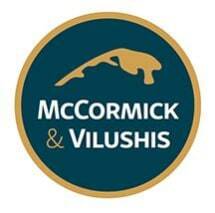 McCormick & Vilushis LLC works with clients from the greater Erie metropolitan area and surrounding counties. We take credit cards as payment and offer a free initial consultation.